scans_daily | NS: We have a title for the Birds of Prey movie and it's... parenthetical! But we'll see how things work out. I really, really, really wish Harley Quinn was not involved in any way whatsoever. The only way I'll really be okay with that is if she actually acknowledges that she was responsible for doing some terrible things and actually displays some guilt for her actions. Because if she just gets to act zany and random after spending years at the side of a terrorist and child killer, it will just reinforce everything I hate about her in the comics. I haven't been the least bit impressed by their plans for Cass, but we'll see, I guess. At the very least, that kind of subtitle does not seem like a cookie cutter studio movie, so there's the potential for it to be interesting if nothing else. It has me wondering if the whole movie going to be framed as Harley telling the story, Luis-from-Ant-Man-style. Thanks! I got it from oraclegreen. Wait, that wasn't a joke? You have no Batman, you have no Superman, so no...not interested in any other projects until the two most popular characters in comics are done right. I love Cass, and it's good to see her get some shine, but this is backwards as hell. I am there! Loved her as Harley. 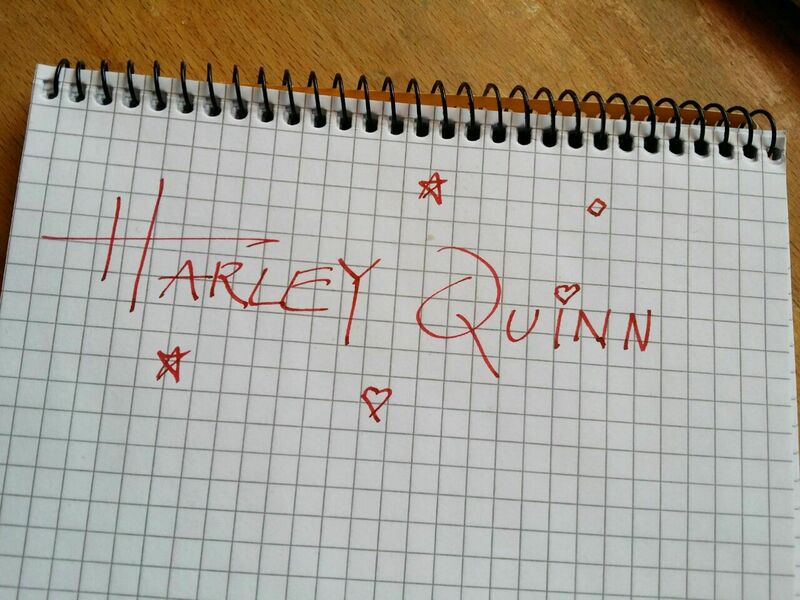 Still going back and forth whether this title means DCEU Harley is going to break up with the Joker or not. Could go either way at this point, I guess.